"Village Hall with social club, bowling green and public bar. Large function room available for hire." All reviews are the subjective opinions of third parties and not of the website or its owners. Reviews are placed by members of the public that have held a function or event at Mere Brow Village Hall. 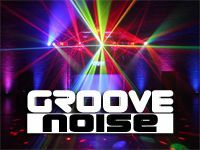 At needadisco.com we only accept reviews from confirmed clients that have booked a DJ to play at Mere Brow Village Hall via our website, with the arrangements independently verified by both the DJ and the client before the event takes place - no "fake reviews" here! "This modern attractive hall is everything you would not expect from a village hall!! My guests were very pleasantly surprised by the bright modern building with its warm friendly feel. The room can be divided so that a smaller group are not rattling around in a lot of empty space. The decoration is clean^ fresh and neutral so we were able to dress the tables in whatever way we wanted. I really liked the fact that there were separate bathroom facilities^ entrance and access for the caterers. The kitchen was on the small side^ but it was still capable of catering for the party. The bar staff were very accommodating and they quickly changed the square tables for round ones. They were eager to help and friendly when serving us. They helped tidying up and made sure that all had gone well at the party." Helpful information for DJs and entertainers visiting Mere Brow Village Hall provided by trusted members of needadisco.com. STAFF: Really helpful, played here quite a lot of times, and always helpful staff, even make you a cup of tea. ADDITIONAL COMMENTS: "great venue. patio overlooking bowling green (no blinds there) but okay everywhere else." PARKING: Large car parks front and rear. Park round the back to be closer to rear fire door. ACCESS: Access via front door with direct access to function room - sadly the stage is at the far end - or through a single fire door and past the toilets. FACILITIES: Small steps up to stage. Ceiling can be a bit low to set up at the front of the stage. ADDITIONAL COMMENTS: "Large patio doors lead onto bowling green. In summer they tend to leave the doors open which creates a security risk if you leave gear unattended." Information is based on enquiries and bookings handled via needadisco.com so whilst it's a great insight, if you have any questions or concerns about holding a function or event at Mere Brow Village Hall please contact the venue. We understand that a Sound Limiter Device is installed at Mere Brow Village Hall. Mere Brow Village Hall has previously been hired as a venue for private parties such as birthday celebrations, anniversaries, engagements etc. Mere Brow Village Hall has previously been hired as a venue for functions and events such as sports club social evenings, masonic events etc. Mere Brow Village Hall is in our Community Halls & Spaces category. The map below shows other local venues in the same category.